He has done covers and illustrations for books and specialised magazines. He has pioneered in Spain the painting of Spanish Civil War scenes that have led to limited edition prints signed by prominent pilots from both sides of the conflict. 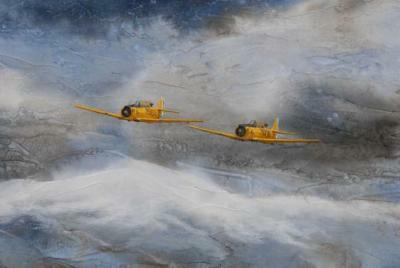 He has held many one-man exhibitions devoted exclusively to Aviation, winning both 1st and 2nd prices at the Spanish Air Force Art Contest, and took Best of Show at the 2004 Art Contest in the National Museum of Naval Aviation in Pensacola, Florida, USA. 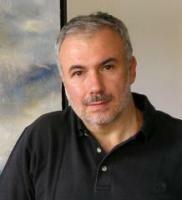 He paints mainly in acrylics and his work can be found in public and private collections in Europe and the U.S.A. 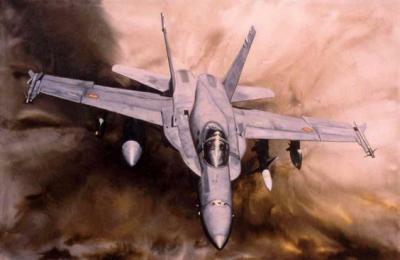 He is an American Society of Aviation Artists (ASAA) Artist Fellow, being the only Spaniard up to date to have achieved that honor. 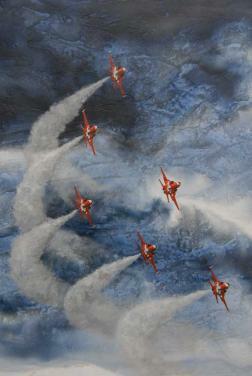 His aim is to promote aviation art, making his paintings attractive to people who are not familiar with this topic. 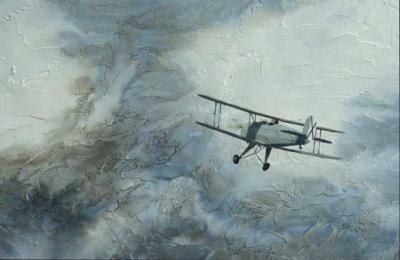 In order to achieve this, he is composing part of his latest works with more or less classical renditions of aeronautical subjects along with textures and less orthodox light and color techniques in extreme landscape and diptych formats. He is married, has two children and two grandchildren. His works can be found in private collections of Spain, Switzerland, Nederland, Italy, United Kingdom, Venezuela and the U.S.A., and also in official centers, Aerospace companies and Aeronautical Museums.